Faux or real, we're loving this look top to bottom. Leather for fall? As Miranda Priestly would sarcastically say, "ground breaking". Like nautical stripes for spring, black leather reappears every autumn. Take stock of your own closet. How many pairs of black leather boots do you have lurking in the depths? Often relegated to our most basic buys, it's the forgettable workhorse of our wardrobes. This season however, leather appeared on so many runways that it's impossible to ignore as a major trend. And we're not just talking about glossy accessories, jackets and jeans. Marc Jacobs, Miu Miu and Haider Ackermann all showed jet-puffed patent trench coats, Hermes and Akris went for modern Matrix-like dresses, Saint Laurent and Salvatore Ferragamo made sleek suiting, and Philosophy di Lorenzo Serafini debuted a buttery jumpsuit with tux-like lapels. Obviously, this isn't about rebuying what you already have. Instead, it's about incorporating the slick stuff in unexpected ways. For off-duty days, think track pants, sweatshirts and ball caps. Heading to a meeting? Office-appropriate blazers, shirts and shift dresses are fall's answer to power dressing. 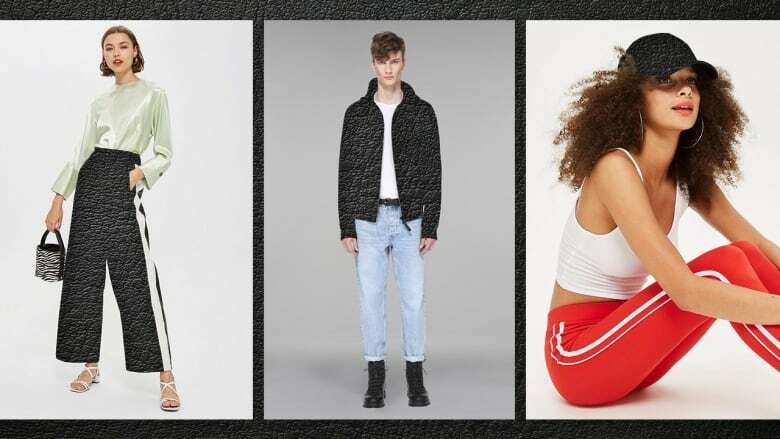 Go ahead and give your moto jacket a break, it's time to break out something new. Warmer than its cotton counterpart, this coat comes with all the trappings of a traditional tan version, like double-breasted buttons, wrist buckles and a waist belt, but commands attention too. Cap off any outfit with a bit of French flair. 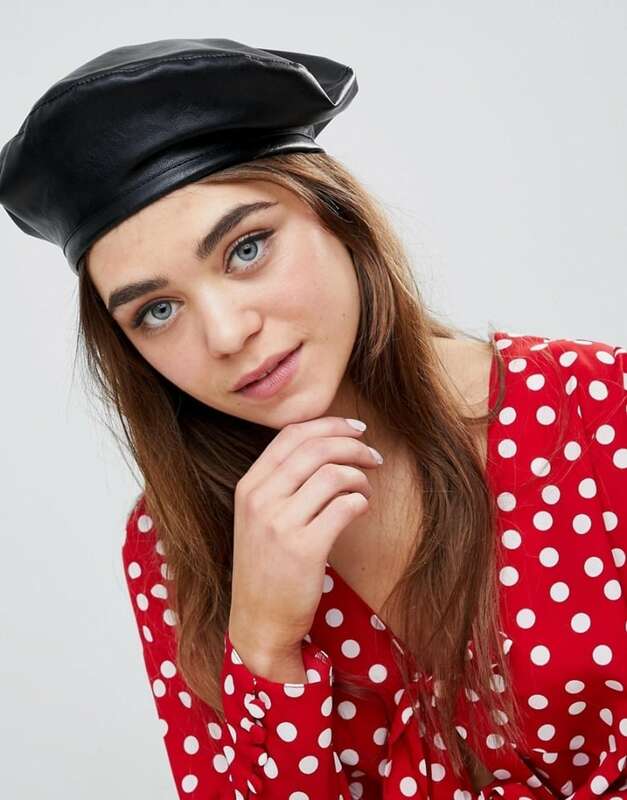 Modeled after the navy leather berets that walked down Dior's runway last fall, you can get the look from Asos at a fraction of the cost. We suggest pairing it with polka dots for a pretty, ingenue feel. Leather shorts sounds like an oxymoron, but they're worth a try. Treat them as you would a skirt when it comes to styling. That means wear it bare-legged with a breezy top now, and layer with a sweater and tights as the mercury drops. Granted you might not turn to a leather hoodie for cozy Sunday mornings on the couch, but it can easily take the place of your motorcycle jacket on nights out. 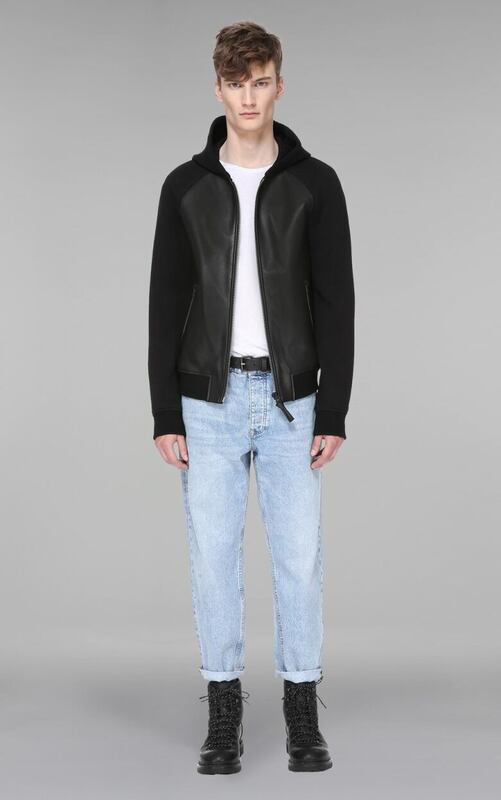 This one from Canadian company Mackage is the definition of laid-back luxe. When you think about the black leather pieces already in your closet, there are certain shapes that immediately come to mind (moto jacket, bags, boots…). Venture outside your comfort zone in a pair of high-waisted culottes, they'll be your new go-tos. Faux leather brings a fresh take to the slip dress. It still has that snug silhouette and ultra-skinny spaghetti straps but is a sleek switch up from flowy silks. Plus, this one is lined in satin so you won't get any stick. Baseball season may stretch well into October, but you shouldn't wait to switch up your hat til then. This vegan-friendly, faux leather version is made extra special thanks to a smattering of scarlet hearts. Wear this to work and the water cooler talk will invariably be about your blazer. 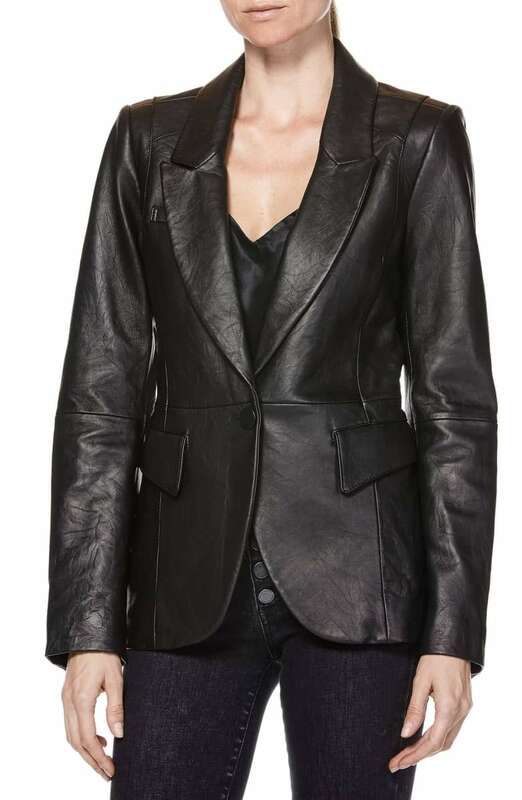 For the most flattering effect, look for a jacket with plenty of seams, strong shoulders and a nipped waist. Turtlenecks get treated like base layers, hidden under sweaters and jackets. This one, with its pouf shoulders, mock neck and slim sleeves, begs to be seen. 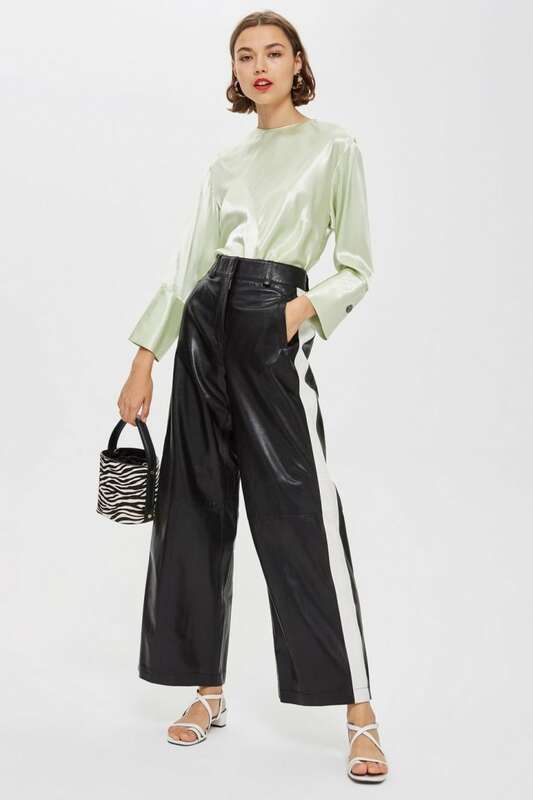 Balance the body-hugging silhouette with a wide-leg pant or midi skirt. The black leather jogger is a surprisingly versatile pant. For Saturday morning coffee runs, pair it with a roomy sweater and all-white sneaks. Come nighttime, transform the look with sky high sandals and a strappy silk cami. Caitlan Moneta (@caitlanmoneta) is a Toronto-based fashion editor, writer and stylist. She's a firm believer that there's nothing a little retail therapy can't fix.